Southeast Asia is the most diverse region on our planet. Nature’s most powerful forces have combined to create islands of fire, a water world driven by the sway of the moon and rich forests fuelled by the tropical sun. An extraordinary array of plants and animals live here; many of which are found nowhere else on earth. The islands of Southeast Asia are some of the most spectacular and diverse places on earth. They are home to the majestic, the beautiful and the downright bizarre. In the tropical forests that drape their rugged slopes, there are kangaroos that climb trees; pigs whose teeth grow through their heads. The biggest of cats rules, where rhinos have hair and birds hatch out of the sand. A land forged by colliding continents and ruled by volcanoes, where change is the only certainty. Southeast Asia has more active volcanoes than any other region on the planet. Many of its islands were born by this most destructive of forces. Volcanoes rule all life on Southeast Asia’s islands of fire. For millions of years land has been built up, torn apart and destroyed. And that process is still taking place today. For wildlife here, the only ever certainty has been change. But once the dust of these destructive forces settles, opportunities appear for those willing to take them. Volcano birds are an extreme adaptation to life on the islands of fire. Their nesting grounds and the surrounding forest are covered in new ash on a daily basis. Toba on Sumatra erupted 75,000 years ago. The explosion is thought to have plunged the earth into a volcanic winter that lasted for a thousand years. Some scientists believe it almost wiped out the human race. 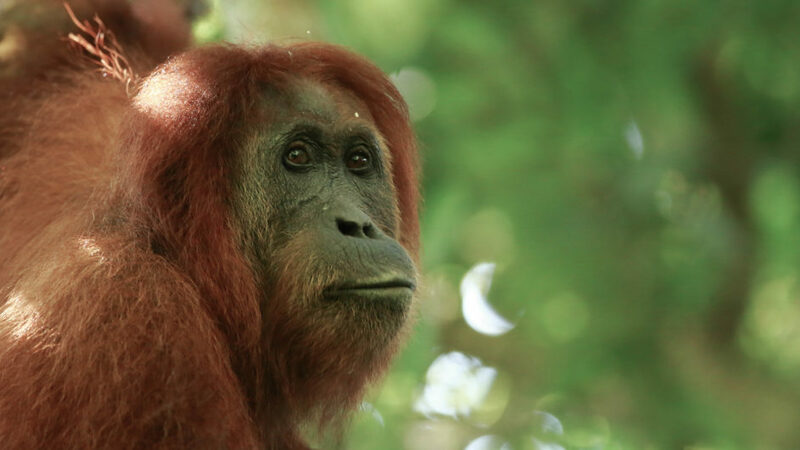 Toba has had a remarkable effect on Sumatra’s wildlife. Even today, the island remains divided, with different species found to the north and south of the lake. The south is the realm of Malayan tapirs and banded leaf monkeys, while white-handed gibbons and Thomas’s leaf monkeys live only to the north. For those able to cross the sea, new volcanic islands are a world of opportunity. Plants are among the first to get there. The large seeds of Barringtonia can survive in seawater for up to two years. Some animals can swim across the gap to new islands. Water monitors are very capable swimmers and common across many of Southeast Asia’s islands. New Guinea is part of Australia’s continental shelf. It was once connected by lower sea levels; allowing Australia to bestow its continental crown with some of its most iconic wildlife. Normally, kangaroos are not renowned for their tree climbing abilities. Tree-kangaroos may look alarming out of place but since no monkeys or squirrels live here, they’ve taken up the opportunity to feed on the abundant leaves. Southeast Asia was born of fire and is powered by the sun. But there is another world; a parallel world where the moon holds sway. It’s a world rarely seen and little understood. The influence of the moon is strongest on the many islands of Southeast Asia. Here, amongst the mangroves, and shallow seas, the moon reigns over her shadowy subjects. As the departing moon pulls on the water, the tide retreats, and Proboscis monkeys enter the coastal forest. As the power of the moon wanes and the water slips away, the mud comes alive. First to appear are fiddler crabs. Crab-eating frogs and giant mudskippers go after them. But the giant mudskipper isn’t the top predator here. It has to stay alert; its strange eyes need to look for bigger beasts… like long-tailed macaques or water monitors, the longest lizard in the world. Offshore sea eagles are on the hunt. Their main targets are fish and sea snakes. The tide has flooded over the coral reef, pushing both into shallow water. The sea snakes have some of the most powerful venom in the world, but the eagle doesn’t care. There is one more force that has shaped Southeast Asia, one that today has the greatest influence over all life here. It makes snakes fly and apes sing. It turns plants into killers and jellyfish into farmers. It is the power of the tropical sun. Creatures as diverse as gibbons, great argus pheasants and draco lizards – they all live under the spell of the sun. Flying lizards, flying snakes, flying frogs – Southeast Asia has more gliding vertebrates than anywhere else on earth. It is all to do with an astonishing family of trees and their monopoly over the life-giving tropical sunlight. Dipterocarp trees dominate Southeast Asian rainforests. The competition for sunlight here is so intense that some of these trees reach over 80 metres into the sky. Dipterocarps are amongst the tallest rainforest trees on earth, they are sun-seeking giants. While many trees flower during dry season and fruit in the wet season, one tree disobeys the seasons altogether; the mighty fig. At any given time of year, there is always a fig tree in fruit somewhere in these rainforests. For those that can find them, figs provide a year round food supply. It is all because of the fig’s relationship with a tiny wasp. Which means that even during the lean dry season, those in the know can always find something to eat – like Sumatran Orang-utans. The islands of Southeast Asia are some of the richest and most diverse in the world. The richest seas, mangroves and coral reefs also surround them. All of this spectacular burgeoning of life came about through the forces of the earth, the pull of the moon and the power of the tropical sun.